The Wonderful Wizard of Oz is rated 4.0 out of 5 by 12. Rated 5 out of 5 by spferreira from First Big Fish game! We discovered this game, and Big Fish, during an unexpected layover at an airport in January, 2008. We've been loyal customers ever since. The games are great, especially the generous 60 minute trial, and the customer service is truly outstanding! Rated 5 out of 5 by mw1525 from Simply Adorable and So Much Fun! This game is truly enjoyable. I downloaded the demo just to try it and before the hour was up I returned to buy it. This game has a relaxing quality to it. All of the elements needed to make a great game are found in this one (Look, Feel & Sound). The match 3 puzzles are fun and at times require a bit of thinking. The bonus items just add to an already fun experience. I have only positive things to say about this one. Give it a try, I'm sure you won't be disappointed. 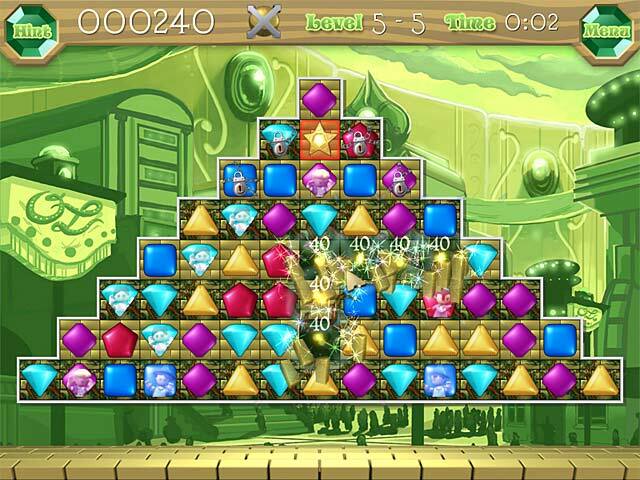 Rated 5 out of 5 by sereneorchid from What a hoot Kids will love this match 3 game, and so did I. Trapped inside some of the matching icons are munchkins, waving at you to let them out. As you make matches, the munchkins are released and drop down to the bottom of the screen, where they scurry off cheering. An amusing concept. The power-ups are creative and entertaining, like exploding pudding and keys to open locked tiles, and are introduced one at a time so you can get a handle on them. But pay attention because you won't find them in the Help section when you need to refresh your memory. This is a fresh, amusing approach to the standard match 3 format. Easy for novices to learn, and a hoot for experienced players. There's much to love in this land of Oz. Rated 4 out of 5 by sjlm53 from Fun Match Three Game. 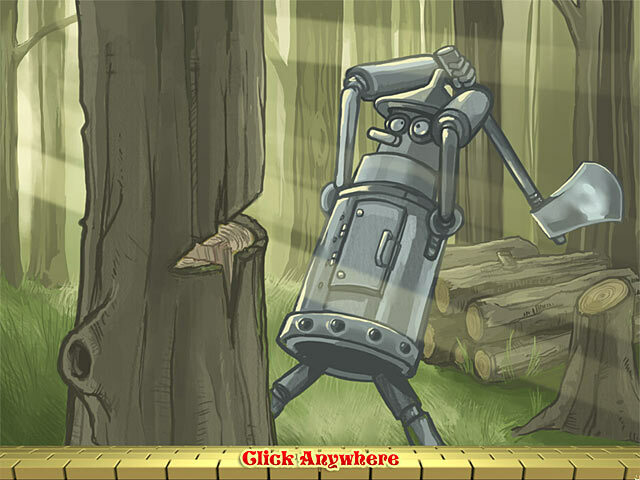 This game is an enjoyable match 3 game for the entire family! It is suitable for all skill levels from beginner to the more advanced player. All elements of the game were excellent. I do think the game could have been made longer if the creators of the game had begun with a build up leading to the tornado. I feel the game was a little too short. The storyline did follow the original story very closely though. Rated 4 out of 5 by schnauzermoms from True to the charming original book I love this game! 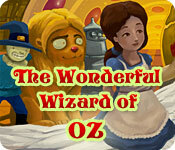 Not only is it a relaxing match 3 game, the storyline is true to L. Frank Baum's original book "The Wonderful Wizard of Oz". As much as I love the movie, it's nice to see something that follows a book that is as delightful, in my opinion, as the movie. I really like this game because every level is winnable, you don't have to race the clock, and the powerups are very easy to use and introduced at intervals that only enhance game play. It's nice that I have a game that is relaxing for me and that my son can also play without seeing anything objectionable when he is old enough to play. For those of you who love the movie and haven't read the book, read it and you'll love it too. For those of you who love match 3 games that are relaxing and not over-challenging, buy this game. For those who love both, this game is a great buy! Rated 4 out of 5 by myyorkies1994 from A Wonderful Game for Children & Beginners! This classic story is brought to life in this match 3 that is geared toward children and beginner match 3 players. The graphics are cartoon-like, the music is soothing, the icons are nice and big, the colors are bold and bright, and the power-ups/bonus icons are very plentiful and introduced over time, so the new player or youngster learns as they go along. There isn't a count-down timer, so no pressure. Munchkins appear in the icons and are dropped to the road below when matched. The story follows the movie and brings the player along through each chapter. A wonderful choice for the young and the young-at-heart alike! Rated 4 out of 5 by Sweetypuss from Great for the kiddies! I love Wizard of Oz - I have a bedroom dedicated to all things Oz. With that said, this one is for the kiddies. It tells the story and has great icons that are fun and build on each step. My favorite was the tornado - at least for the nine levels I played to see if this would get more challenging. I played for 26 minutes and 15 of those minutes wasn't on the computer but out in the yard with my dog. I really think this is a great one for the kids and teaching shapes, colors, etc. I'm recommending strictly for kids about age 8 and under cause there really isn't anything much challenging or to learn for anyone older. Rated 4 out of 5 by Menu7 from Cute fun! 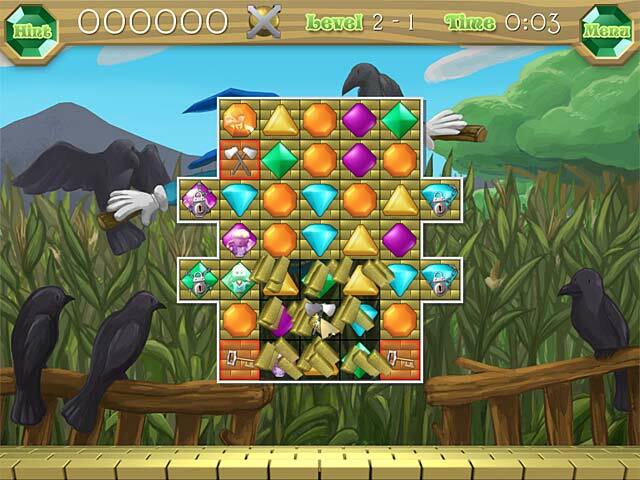 This is a match 3 game that has cute elements to it which makes it fun to play. Kids will love it and adult gamers will also enjoy it. Rated 4 out of 5 by piecake from It's a fun 3 match game` I enjoyed this game very much. I think 60 minutes is to short of time. Will most likely buy it.